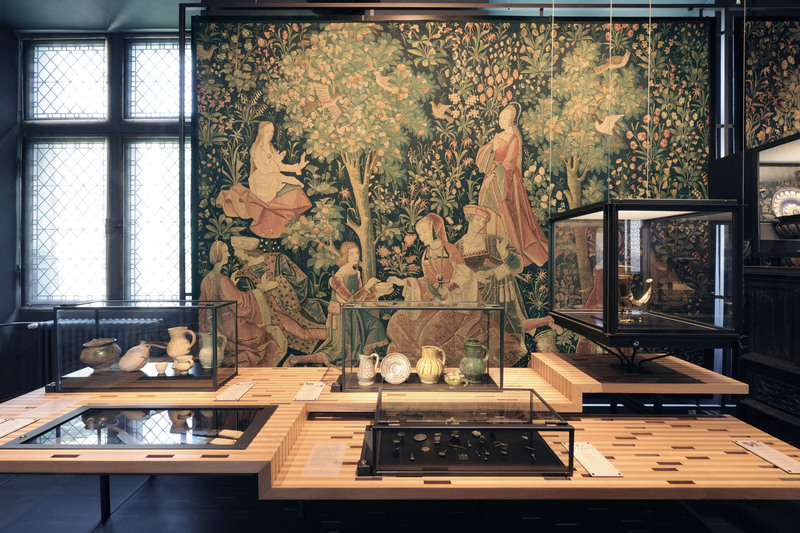 This Guest Blog from Claire, Musee de Cluny @museecluny, explains the benefits for Museums who are still on the fence about taking part in in Ask A Curator. Still hesitating? Asking yourselves why and how? As a community manager, a head of the educational team, or simply as the member of an (obviously) great museum’s staff, there are plenty of reasons to take part in Ask a Curator on September 19th. Claire Séguret, deputy manager of the Communication Department at Musée de Cluny (French national museum of Middle Ages), is giving you three. 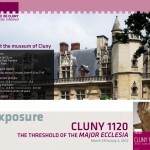 At the end of August 2010, after seeing the ad on Facebook, I suggested to the director of Musée de Cluny to get on board. I thought it was a good way to start being a wee bit more ”digital”. Until then, we just had no time, and let’s face it, we were kind of afraid of these networks. The operation seemed as a good way to try. We kept the account. We now have more than 4500 followers, none of them are trolls, and we’ve been selected by Beaux Arts magazine as one of the top three French museums on Twitter this year. Signing up for Twitter isn’t that hard, but Ask a curator gives you a great opportunity to quickly exchange with a great range of people, which you can’t normally do in the very beginning of your life on the network and can be frustrating. So even if you’re just starting, you’ll get in touch with a bigger amount of followers, and probably gain more in the process. It will give you a platform and a visibility you wouldn’t probably have that fast. 2- Getting people in your institution involved. Emulation can be the key to engage and create interest from your staff. If one person gets involved, the others will follow on the next digital projects. Especially if they get curiosity and compliments on their work, which, let’s admit it, is huge and not always the most glamorous. And you’ll be surprised to see how some personalities can reveal themselves from behind the screen. For this second edition, I chose to let the members of the scientific team volunteer. I just explained how this would work and that I would be around all day long. If none of your curators are available at that time, why not ask the chief librarian, the curator’s assistant or even better, the director him/herself (in most of the museums, they are curators too)? 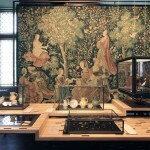 As soon as the person is passionate about her work and knows the collection and the museum well, it will work. Oh, and remember to tweet a quick bio before the 19th, to introduce your curator to the Twitter world. 3. Knowing what your audience wants to know. As museum’s professionals, we’re convinced we know what should be said about our collections. Basically, it’s always really hard to take the time and the critical distance to think about what people wants to know about us. -politely answering to people selling their (either funny or ugly or nice) grandma’s collection, etc. what did people eat in the middle ages? If you had a time machine, what would you want to have that you miss now to work better? Anyhow, this will help you to learn what your audience is eager to know about your museum, what are the stereotypes on a period/type of work. This could be a great help if you’re thinking about creating a website, an app, or just tweeting. And most of all, it will shows your museum as an agora, as a space where professionals engage with their audience and interact with them. I hope I gave you enough reasons to knock on your director’s door tomorrow, and to get involved in Ask a Curator! Ask A Curator is September 19th. Please email info@askacurator.com or Tweet to let us know you’re venue wants to take part!